You can order and publish copy from our writers directly from your WordPress dashboard, the following explains how to do this. 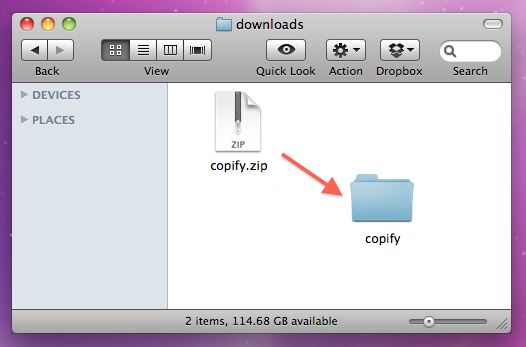 To begin, Download the Plugin to somewhere on your computer, and unzip. Tip: Although you can place orders from within your WordPress dashboard, the plugin offers a scaled-down version of the functionality that exists within the main site. Connect to your website via FTP. To do this you will need to know the host or IP of your website, and your username and password. Contact your hosting company if you are unsure of these details. Upload the plugin files from your computer to the /wp-content/plugins directory of your WordPress install. The final step of installing the WordPress plugin involves adding your API key. 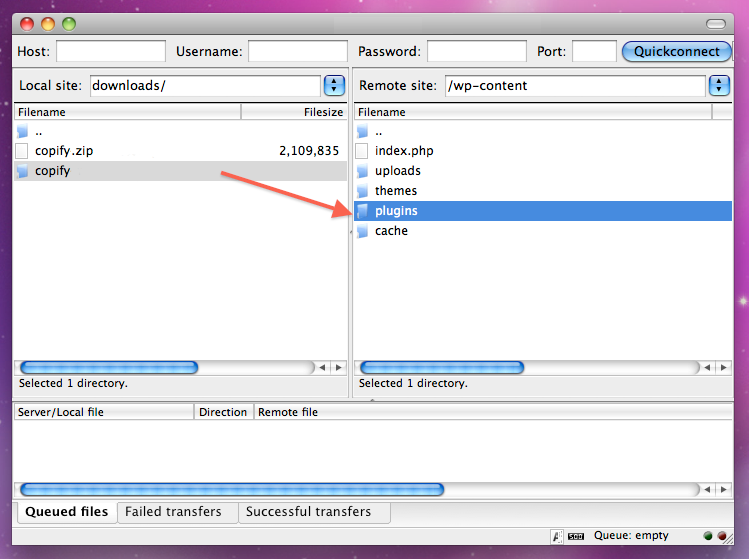 To do this, first get your API key from Copify and enter this in the "Settings" section of the plugin. 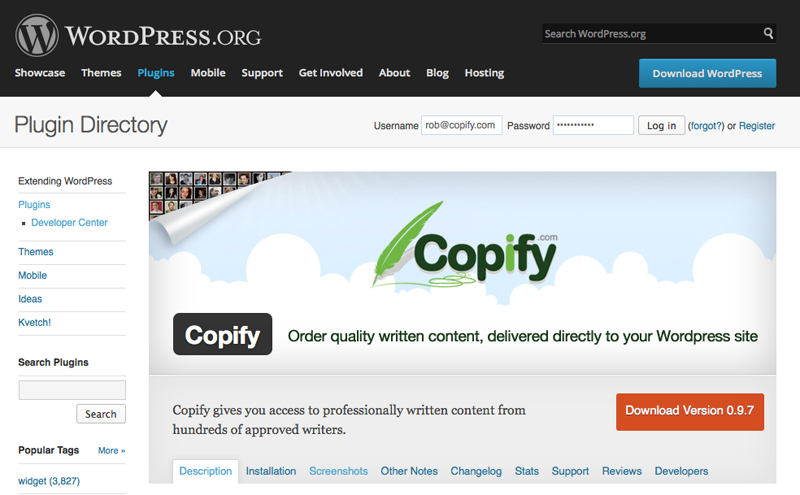 This will allow your WordPress site to access your Copify account. To place an order through WordPress, click on the Copify tab in your dashboard, followed by "Order Content" and simply complete the order form. To reveal your orders, click on the Copify tab within your dashboard. This will display a list of your current orders. Once your orders are complete, you will be notified by email. 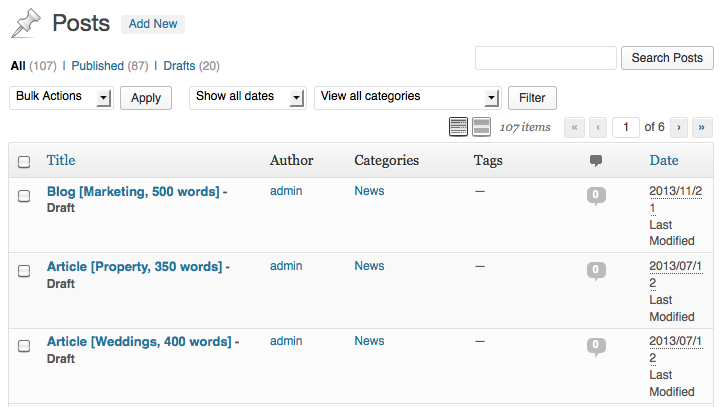 To review, log in to your WordPress dashboard, click on the Copify tab, followed by the order. 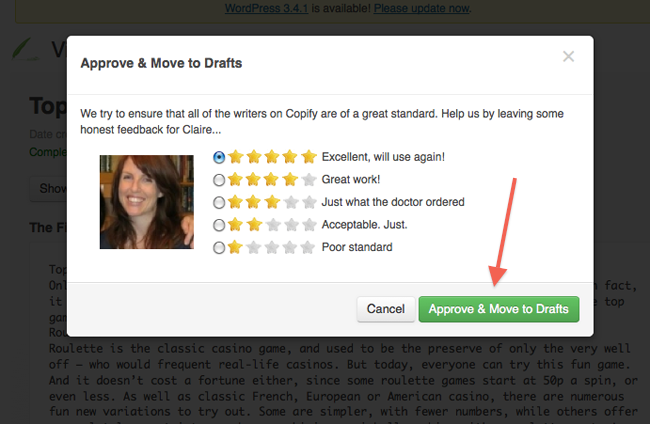 If you are happy with the content, approve and move to drafts ready for publishing. 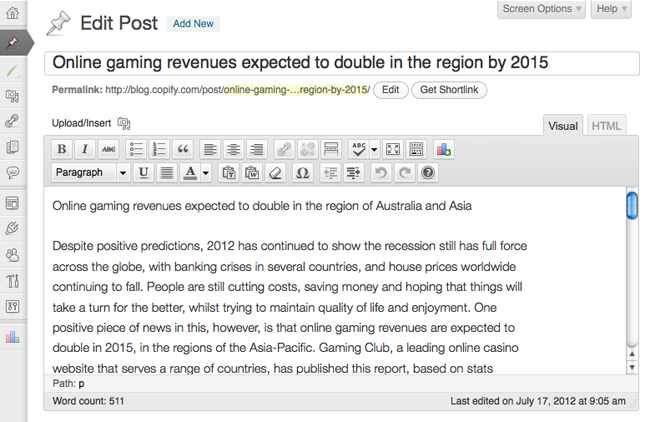 Users can publish content that has previously been ordered through the Copify website. 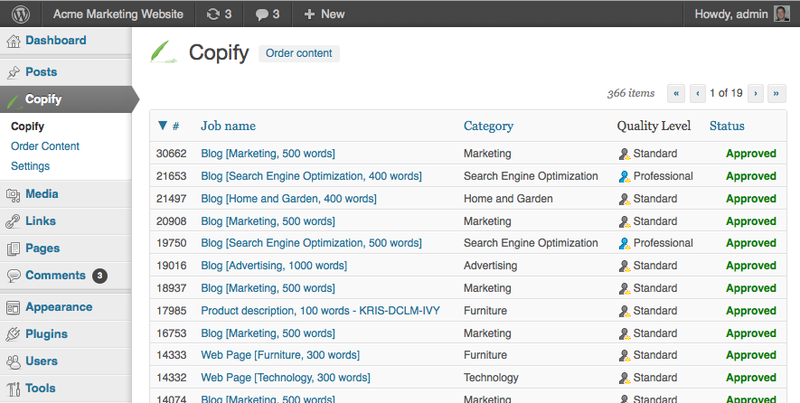 After installing the Copify plugin and entering your API key, you will be able to see a list of all orders created. 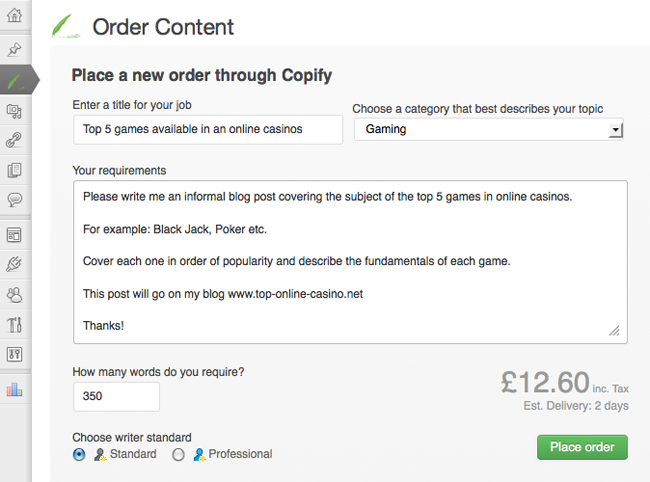 These orders can be moved to WordPress by clicking on the order followed by 'Move to WordPress.' This will push the content to your drafts. Once it has been moved to your drafts, you can edit your Copify content by simply clicking into the draft and using the WordPress editor to format and add images and text.